The Tennessee Valley Authority board voted Thursday to shut down by 2020 the final coal unit at its Paradise Fossil Plant in western Kentucky, pictured above, and shutter the Bull Run Steam Plant near Oak Ridge, Tennessee, by 2023. A Kentucky coal investor is offering to buy one of the coal plants that the Tennessee Valley Authority plans to shut down next year if TVA would agree to buy the plant's power at prices competitive with other sources. The Kentucky Emerald Land Company (KELC) LLC, which is managed by Samuel S. Francis whose businesses have sold coal to TVA, is offering to pay TVA $129 million to acquire the Paradise Fossil Plant in western Kentucky, according to a March 6 letter Francis sent to TVA. TVA spokesman Jim Hopson said TVA has received the letter and is reviewing the proposal, but the TVA board has yet to declare the Paradise plant a surplus property available for sale after voting to shut down the last coal-fired unit at Paradise by the end of 2020. With power demand in the Tennessee Valley flat or declining and cheaper energy available from natural gas plants, hydroelectric dams or, in some instances, solar panels, TVA has opted to shutter more than half of the coal-fired units it once operated. TVA retired the first two units at Paradise in 2017 and the TVA board voted in December to close Paradise Unit 3 next year rather than install costly pollution controls or upgrades to the half century-old facility. "The devil is in the details, but if we needed the power from this plant we would still be running it," TVA President Bill Johnson said in an interview with the Times Free Press. "We added another nuclear unit at Watts Bar (in 2016) and we're adding another 450 megawatts of power at Browns Ferry (in Alabama) so we have more power now than we need." TVA does buy some of its power each year from other utilities and independent power producers under contracts or spot purchases when the electricity is cheaper than what it would cost TVA to generate or to meet renewable power demands of some of its customers like Google, Johnson said. But TVA is not looking to buy more power. The offer for Paradise from KELC proposed that TVA buy the plant's power at rates comparable to its average cost of power so TVA would not be disadvantaged by buying such power. Keeping Paradise operating would help maintain a customer for Kentucky's coal industry. KELC offered to pay TVA $129 million in upfront cash, and allow the utility to share in income participation payments estimated to exceed $500 million. "I like to make money, and I think I can make money (with the plant)," Francis told the Muhlenberg County News. The planned shut down of the Paradise coal plant is already cutting jobs in Kentucky's coal mines. Jason D. Witt, assistant general counsel and land management director for Murray Energy Corporation, said a total of 67 jobs have been eliminated at the company's west Kentucky operations. TVA built a gas-fired, combined-cycle plant at Paradise, in part, to replace the three coal units that are being shut down. "TVA was the largest customer for our operations in west Kentucky, including KenAmerican Resources, Inc.," he said. Hopson said the TVA "would be responsible for making the ultimate determination to dispose of any property" and any sale of the Paradise coal units would have to go through a public bidding process. 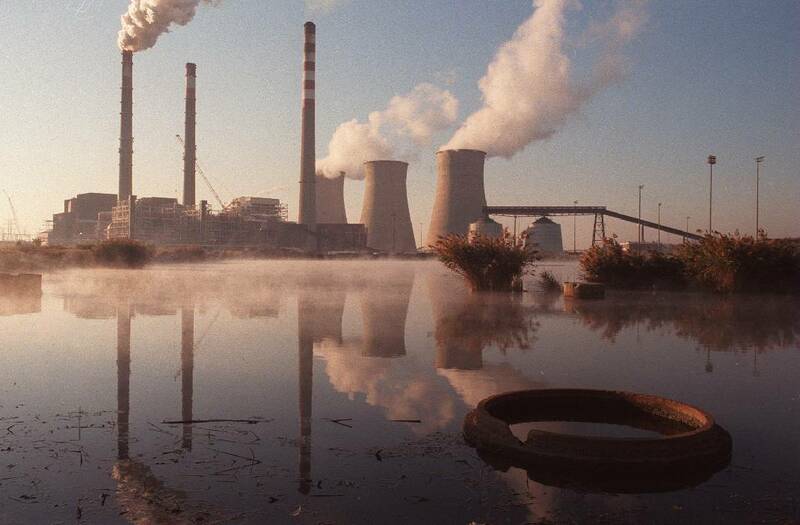 TVA has shut down other coal plants in the past decade at its John Sevier, Allen and Johnsonville plants in Tennessee and its Widows Creek and Colbert plants in Alabama. While Google is building a $600 million data center at the former Widows Creek plant near Stevenson, Alabama, TVA has not disposed of most of its abandoned coal plants where coal ash cleanup and monitoring programs continue. TVA did declare surplus in 2016 its unfinished Bellefonte Nuclear Power Plant in Hollywood, Alabama after TVA had spent more than $6 billion on a pair of incomplete Babcock and Wilcox pressurized water reactors. TVA determined it won't need the power that Bellefonte could produce for at least another two decades and that finishing the plant would be more expensive than buying power elsewhere or generating it from its current gas plants. But former Chattanooga developer Franklin L. Haney thinks he can finish Bellefonte and produce cheaper power to sell on America's electric grid than what utilities are now paying for power. Haney was the top bidder for the abandoned 1,300-acre riverfront site with a purchase offer of $111 million in November 2016 during a TVA auction of Bellefonte. Haney made a $22 million down payment, but TVA declined to close the sale last November because nuclear regulators have yet to transfer the deferred construction permit for the mothballed nuclear plant from TVA to Haney. Haney, who said he was ready to give TVA another $89 million and complete his Bellefonte purchase last November, is suing TVA in federal court in Alabama to try to force TVA to complete the plant sale. Johnson said it would be illegal under nuclear regulations to transfer the plant to another party trying to finish the plant as an operating nuclear reactor if the new owner doesn't have the proper license. But Haney said he filed with the U.S. Nuclear Regulatory Commission in November 2018 a request for the license transfer from TVA. NRC is still reviewing such a transfer.